My daughter-in-law, Jean, granddaughter, Richelle, and I enjoy writing, and we decided it would be fun to write a three-generational story that would be in one book but divided into three novellas. It seemed natural that our stories would be set in Pennsylvania, where we have Amish friends and have visited many times. I wrote the first story in the book, Luella’s Promise. In my novella, Luella receives a special quilt, which she hands down to her daughter, Karen. Book 2, Karen’s Gift, was written by Jean. 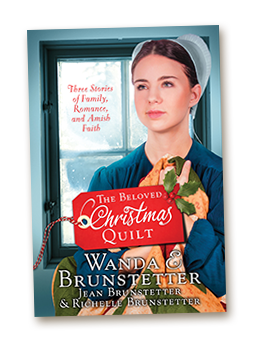 In book 3, Karen offers to give the quilt to her oldest daughter, Roseanna. Richelle, wrote the third novella, Roseanna’s Groom. The three of us look forward to writing more books similar to this.